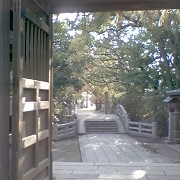 A large and beautiful complex dedicated to Sugawara Michizane in the city of his exile from Kyoto. 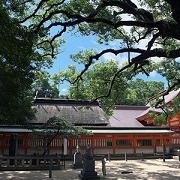 It is considered to be one of the Three Great Tenjin Shrines of Japan. 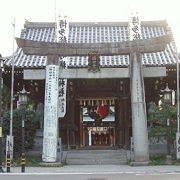 The street leading to the shrine is shops selling souvenirs, sweets, and crafts, also famous for umegaimochi, a kind of sweet plum-filled rice cake. Nearby is a nationally renowned stone zen garden. Hotel Nikko Fukuoka- 5-star property/perfectly located. Nishitetsu Inn Hakata- All hotel's guestrooms have all the conveniences. Blossom Fukuoka- Within easy reach of most tourist attractions. Hotel Sunroute Hakata- Provides a warm and welcoming service. Kanzeonji established at 746, afte 80 years ago since it was started to build at 661. 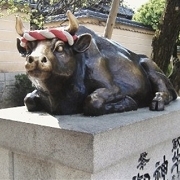 Hobutu-ko (Treasure Museum) has lots of important cultural assets. Clio Court Hakata Hotel- One of the best hotels to stay at while in town. Toyo Hotel Fukuoka Hakata- A combination of modern comfort and traditional element of Fukuoka. Oldest Shirine at Fukuoka. A 1,000-year-old gingko tree shades this shrine, which was built in 757. 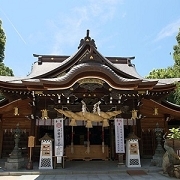 This Shrine is the home to start of some famous traditional festivals. People in Fukuoka call “OKUSISAN” with sincerely. Canal City Washington Hotel-creates a balance of rich culture and modern convinience to ensure you a memorable stay. Hotel Il Palazzo-4.5-star hotel offers 62 comfortable guestrooms. 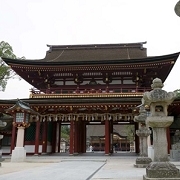 Suitengu Shrine at Kurume City is the head Shrine of Suitengu Shrines in Japan. 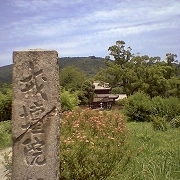 It is established around 1190-1199, at that time, Suitengu was called AMAGOZEN Srine. 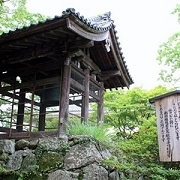 Suitengu Shrine is worship as guardian angels of baby. President Hotel Hakata-With elegant facilities and hospitality, guests at this hotel will surely have an impressive stay. BlueWave Inn Kokura-The BlueWave Inn Kokura boasts a convenient location. 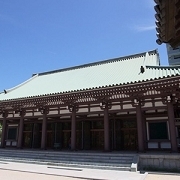 Sumiyoshi Shrine is one of three great Sumiyoshi Shrines (others are located on Osaka, Yamaguchi), which are over 2000 Sumiyoshi Shrine in Japan. 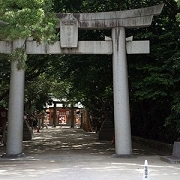 Original Sumiyoshi Shrine is established over 1,200 years ago. 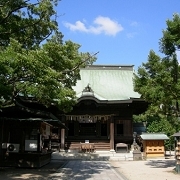 This Sumiyoshi Shrine re-established in 1623, and important cultural assets now. Hotel Monterey La Soeur Fukuoka-The hotel provide extra pleasure and relaxation for all guests. 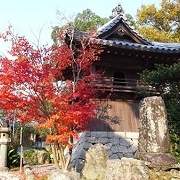 Tochoji Temple is said to be the oldest temple (806) that Kobo-Daishi, is a founder of Singon sect, built. 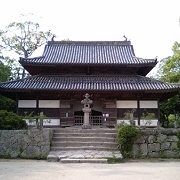 There are Honden, Rokkakuden, Daibutsuden in area of Tochoji Temple. 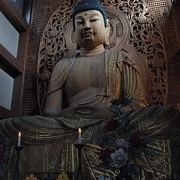 In the second floor of Daibutsuden there is Japan's largest seated wooden Buddha, measuring 9.9m tall. Hakata Miyako Hotel-Top-class facilities are complemented to excellent services to meet the needs of visitors to Fukuoka. Hakata Excel Hotel Tokyu-The hotel also offers a wide range of services and facilities to the guests. Kyushu Travel Info since 2010-08-10 / Copyright 2010 hokuro. All Rights Reserved.